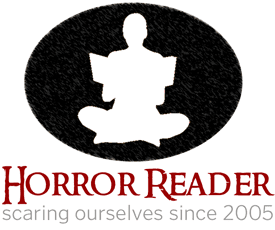 Devil's Cape has received a largely positive review by Daniel Robichaud at the Horror Reader web site. The writing is quite good. The characters are layered and intriguing, the setting is well defined, the supernatural and the paranormal powers and their uses are imaginative, and the language is of that "invisible" style, which communicates without calling attention to itself. 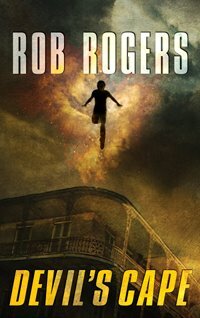 Rogers is a gifted storyteller, and the tale he weaves is one that probes the darker corners of its subject matter as well as the hopeful, inspirational ones. Check out the whole review here. Robichaud also discusses the book on his blog. As he quite correctly points out, Devil's Cape isn't really a horror novel. It's got some dark aspects, but at its heart, it's about superheroes. I'm grateful to whoever at Wizards sent the book out to horror reviewers, because I wouldn't have thought of doing so and it's gotten the book some additional exposure. And someday I might like to take a stab at horror writing, so to speak. But for the most part, Devil's Cape does fall outside of the horror genre. The main reason I didn't address Hurricane Katrina in the book is timing. That's worth a whole post in itself, but by the time Katrina happened, a lot of the book was already written, and I completed the first draft within a couple months after the storm. I didn't want to shoehorn in a reference at that point. There's a bit more to it than that, but that's fodder for another post. Thanks, Daniel Robichaud, for taking the time to review the book. By the end of the book, a few of the major questions are resolved, but there are enough loose threads to feed another book or two (this reader suspects... wait for it... trilogy!). While those books, if they are given half the care of this, will undoubtedly be fine reads, thrilling stories of paranormal powered people trying to find justice in an essentially corrupt city, they have yet to venture down the darkest roads to which they aspire (see those authors above). Here's hoping a trilogy is indeed in your future.